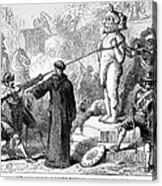 There are no comments for Mexico: Spanish Conquest. Click here to post the first comment. 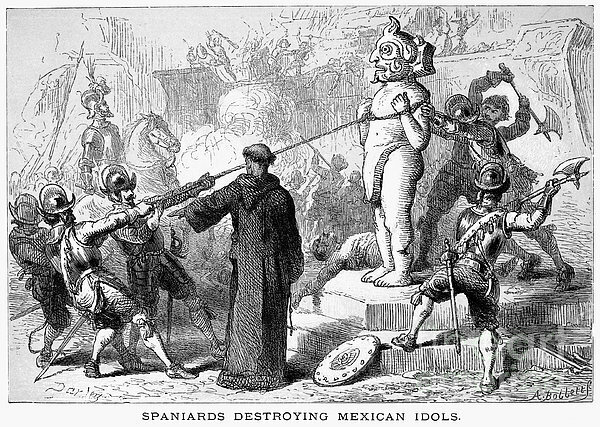 MEXICO: SPANISH CONQUEST. 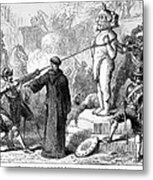 A Spanish priest overseeing the destruction by Conquistadors of an Aztec idol. Line engraving after an illustration by Felix O.C. Darley, 19th century.